Since December 1998 the Manor of Ourville Park has been the property of the Giard family. The Agricultural Enterprise for Limited Responsibility (in French, EARL) of the Park Manor makes use of the land and buildings of Ourville Park. 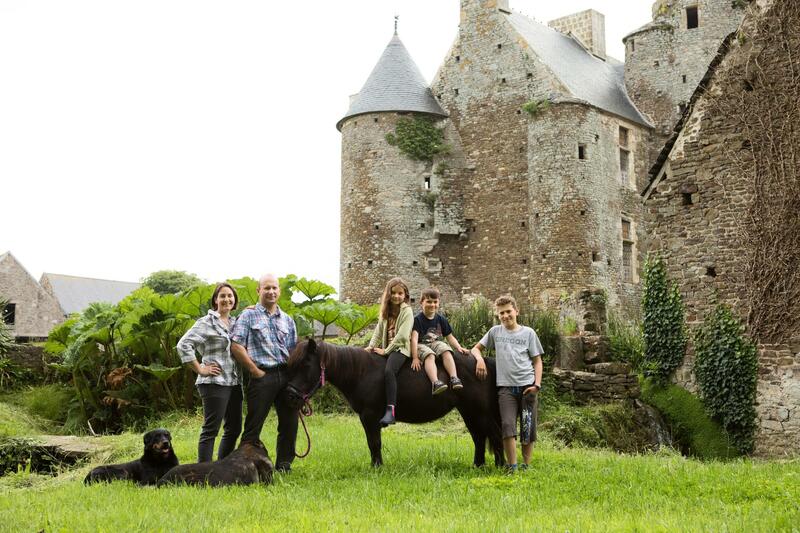 Laetitia and Valentin Giard are farmers in the administrative framework of the EARL of the Park Manor. Married since 2003, they are parents to three children (Philippe 9 years old, Louise 5 years, and Aurélien 2 years). - Tourism to the farm along with vacation rental and visits to the manor and farm. The Manor of Ourville Park is located at the eastern limit of the town of Saint-Lô d'Ourville (750 inhabitants) a costal town on the western coast of Cotentin, which is a region of protected natural habitats unique in Europe (The mountain dunes of Lindbergh).